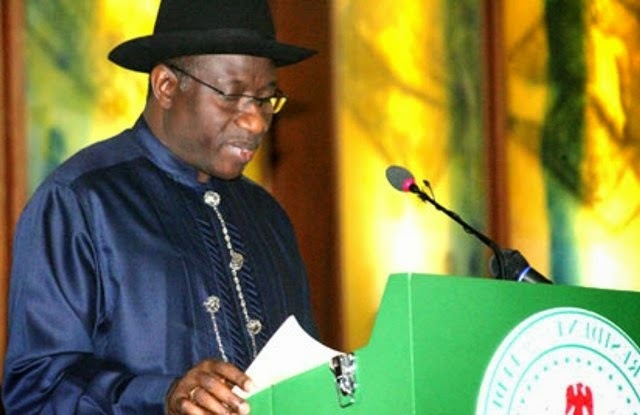 President Goodluck Jonathan yesterday at this year’s Democracy Day Interdenominational Church service in Abuja has accused those behind the violence in the country of planning to bring down his government. Jonathan described them as evil forces and says their plans will not work. While addressing the congregation, the president said; “You can imagine if this government had not been facing these distractions within this period, definitely, we would have moved farther than this. “All these distractions are planned to bring this government down and since they failed, terror will also fail. “We have been witnessing terror attacks for two years plus, but the Chibok incident has added a major dent on the security of the country. There is nothing God cannot do. With your prayers, our girls will be seen by our security personnel. “Terror will not stop this country from progressing. We know that these terrorists are human and they are evil men. Definitely, they are among those we categorise as evil forces. “Forces of evil will never prevail. Forces of darkness will never prevail. I call on all Nigerians, Christians and non-Christians who pray, to continue to pray and I believe that God is on our side. The President also said despite the security challenges the country is facing, elections would hold next year as scheduled. He explained that one of the beauties of democracy which the nation has been practising for 15 years was that every public office holder knows the terminal date of his administration. Jonathan said despite the problems associated with democracy, it remained the best form of government.